The year is 1993. Canada is getting ready to welcome our first female Prime Minister. Bill Clinton is settling into his first year as President. Intel has introduced the Pentium microprocessor and the world wide web is born. Jurassic Park and The Fugitive are in theatres, and Whitney Houston’s “I will always love you” is at the top of the charts. 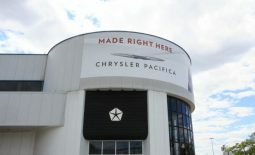 In automotive news, Chrysler’s LH cars (the Eagle Vision, Chrysler Concorde, and Dodge Intrepid) have introduced “cab-forward” design and won AJAC’s car of the year award. 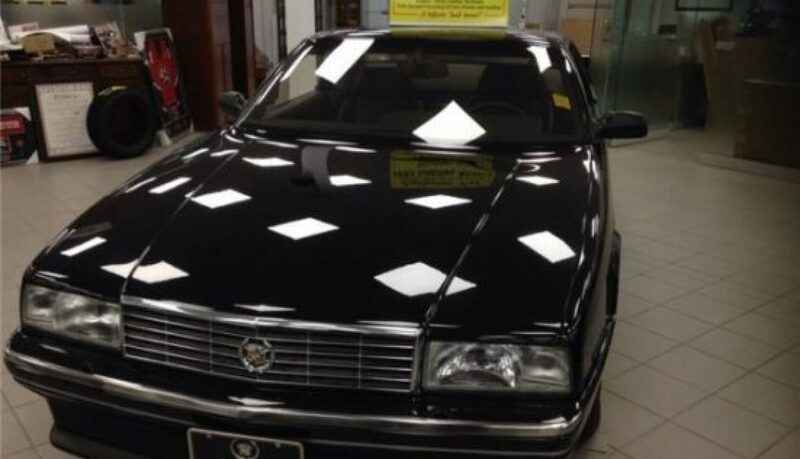 And a black 1993 Cadillac Allanté is delivered to a dealership in Barrie, ON. There it gets parked beside Chevy Corsicas and Luminas, Pontiac Trans Sports and Bonnevilles, and near the then-new rear-wheel drive Cadillac Fleetwoods. Over time the Corsicas will be replaced by Malibus, the Luminas by Impalas, the Trans Sports by GMC Acadias, and the Bonnevilles by nothing at all. But the Cadillac will sit there. Not unloved, but unpurchased. Unregistered, but not abandoned. It gets cleaned and polished and sits in a place of pride in the showroom. It’s been sitting there now for nearly 24 years. For our autoTRADER Find of the Week we’ve found the oldest new car listed on our site, and most likely the oldest new car for sale in the country. A 1993 Cadillac Allanté. How does a car sit for nearly a quarter century without being sold? We spoke to a salesman for the dealer that’s listing the car, and it’s not for lack of interest. Apparently, the owner got a few offers for the vehicle when it was new, but wasn’t happy with them. That means that people come look at it. And when they do, hopefully, they’ll take a look at the other cars on the lot. After a few years, you’ve got the only brand new one left, and that’s not only cool but valuable. A chat with some of the dealership employees revealed that the owner is a big fan of some unusual cars, and is attached to this Cadillac, so maybe doesn’t really want to part with it. To show that spirit, a look at the dealer’s site shows the Allanté recently sharing floorspace with a 1990s Buick Regal coupe. They couldn’t tell us the exact mileage because the car doesn’t have power at the moment so the digital dash isn’t talking. But it’s low. So what was the Allanté? In the 1980s, Cadillac wanted their own roadster in order to compete with the Mercedes SL. Brand executives felt that they didn’t really have the cachet to compete directly, so they made some interesting decisions to help boost the image of the car. The big one was outsourcing the styling to legendary Italian design firm Pininfarina. Furthermore, Cadillac would have Pininfarina build and assemble much of the car, an effort they felt would increase the luxury image of the car. But Cadillac couldn’t let the Italians build the whole car. Frames would be built in the US, and the drivelines would be installed in the US as well. So how was that accomplished? With one of the most complicated production systems ever devised to assemble cars. Frames, built in the US and complete with accessories and electronics, were air-shipped to Turin, Italy. There the bodies and interiors were installed. Once that was completed, the cars were air-freighted, 56 at a time on three specially converted 747 aircraft, back to Detroit where the running gear was installed, and everything was buttoned up. 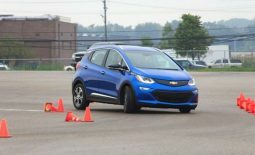 GM expected to do this for 6,000 cars per year, starting with the debut in 1987. They didn’t sell anywhere near that number, and the cars developed numerous issues. For 1993, Cadillac took one last kick at the Allanté. The car was largely revised, featuring the 4.6L Northstar V8. The dual-overhead-cam V8 made 295 hp, a jump of 95 hp over the previous year. This one has the optional aluminium hardtop and LCD digital instruments. There were revised disc brakes, and an all-new suspension was added featuring Cadillac’s new Road Sensing Suspension; adaptive dampers that would respond to changing road conditions. The final year of production also saw some major improvements in fit and finish and build quality. Did it ever live up to the Mercedes SL target? Probably not, but the Allanté will be remembered as one of Cadillac’s stranger exercises, and that includes the Opel-based Catera of the late 1990s (remember the duck?). 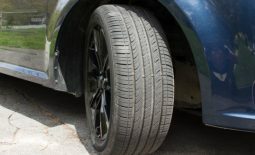 Sure, there are some items to look out for in cars that have sat for long periods. But if you’re interested in something unique, not just because of the model but because it’s a 24-year-old new car, then this Caddy is one that’s worth a look. @bgluckman @CarGuyDad @TheHooniverse No. *Looks at all the Hellcats* maybe?